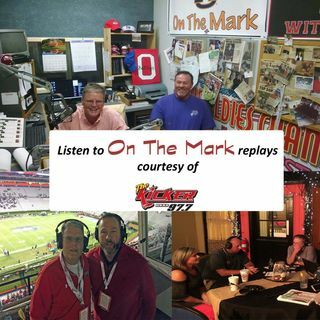 D Mark gives us the weather forecast; Coach Gene Stallings calls in and gives us an update on life, discusses Jalen Hurts' letter to the Alabama Crimson Tide on his transfer to Oklahoma, and the little bit of play time Jalen had in the National Championship game against Clemson. Head Coach Chris Brandt (Auburn High Tigers boys' Basketball) calls in to talk about the Basketball season so far and team stats, previewing upcoming Loachapoka game this Saturday, raising awareness for ... See More aneurysm, what to expect out of more upcoming games, and the adjustment as the new head coach. Derrick Lee (Director from Opelika Power Services) stops by Studio D to get in on this morning's conversations and gives updates on life. D Mark gives an update on the weather forecast; Coach Brian Blackmon (new special teams coordinator at Troy University) calls into the Hamilton's Hotline to press on how much Opelika means to him and how the move and transition into the new position has been...speaks on the hardest thing about recruiting and knowing between Alabama Auburn signees and signees for Troy. D Mark gives stats on last night's Opelika Lady Bulldogs Basketball game against Parks Crossing; Auburn University Men Basketball win over game against Texas A&M; Auburn High Senior Tommy Nesmith is a preferred walk on to Auburn University; Derrick Lee speaks on scholarship and statistic measureables to college walk on students. The guys discuss the Davenport case updates on court hearing; random thoughts: will Jalen Hurts win the Heisman at Oklahoma and would Auburn have taken him if he wanted to transfer there?